Lawrence is a Massachusetts city that is located only 25 miles north of Boston. Lawrence is known for being a very diverse city that is home to many unique multi-cultural neighborhoods in addition to being home to a wide variety of manufacturing businesses. Like the people and properties in Lawrence, the insects and rodents that also call Lawrence home are very diverse. 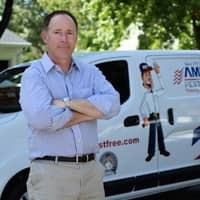 American Pest Solutions has the training, experience, and attention to detail that is needed to control any pest and keep them from invading any home or businesses in Lawrence. We have been providing pest control services to our local communities for over 100 years and will continue to provide the residents of Lawrence with our top notch services in order to keep their home and businesses pest free! Protecting your home from the wide variety of pests that want to invade it in order to seek safe shelter and easy access to food and water is a lot more difficult than you may think. Pest control professionals have the skill, equipment, and patience required to completely get rid of a pest infestation by eliminating all the foraging pests, finding and eliminating all the nesting areas, and figuring out how and why the insects and/or rodents are getting into your home to help prevent future infestations. Pests can get into your home during any part of the year. Because of this, it is important to put in place a year-round residential pest control plan. American Pest Solutions provides year-round pest control services thorough our PestGuard home pest control plan. Not only does this protect your home from common household pests like spiders, carpenter ants, centipedes, and mice, but it also includes services and monitoring to protect your home from termites. Pest problems can happen in any business. Whether your company manufactures shoes or you own a food processing facility, your business is at risk for a pest infestation. Putting in place a commercial pest control plan is the best way to protect your business and its reputation from the damages that cockroaches, mice, and other pests can cause. At American Pest Solutions, we understand just how important fast response is to your business. This is why we offer 24-hour service to all of our commercial customers. Our fully licensed technicians who are continually field trained by our staff entomologists can provide specialized pest control services for the following pests in your commercial facility: bed bugs, pest birds, rodents, termites, ants, roaches, wildlife, and more. Even in an urban city like Lawrence wildlife can invade homes and cause major headaches for homeowners. Wild animals don’t mean to cause harm to your property. They don’t mean to chew through your wires, leave behind piles of excrement, contaminate your food, or introduce diseases; but the fact of the matter is; they do. If a wild animal decides to move into your Lawrence home, the safest solution to the problem for you, your home, and the wild animal involved is to contact the wildlife control professionals at American Pest Solutions. Our wildlife control technicians have been properly trained to humanely remove wild animals from your home or business. They will also provide exclusion services by repairing their specific entry points and potential entry points around your property. Contact us today to find out more information about our comprehensive wildlife controls services for your home or business. American Pest Solutions is a company that you can trust to safely handle any pest situation that may arise in your home or business. We are Massachusetts’ oldest family owned and operated pest control company. Pest control is not just our “job”, it is our passion. We have been providing pest control services to the people that live in our community since 1913, and have built an exceptional reputation within Massachusetts. Since the very beginning, American Pest Solutions has been dedicated to providing our local customers with local pest control services! Our president is a board certified entomologist, and all of our technicians are highly trained, licensed in Massachusetts, and attend yearly recertification training seminars. We are extremely proud to be a QualityPro Certified company and our A+ rating with the Better Business Bureau. Trust your pest control needs to the dedicated professionals at American Pest Solutions! September 28, 2016 - When Should You Be Worried About Carpenter Ants? September 16, 2016 - Are Cluster Flies Dangerous?